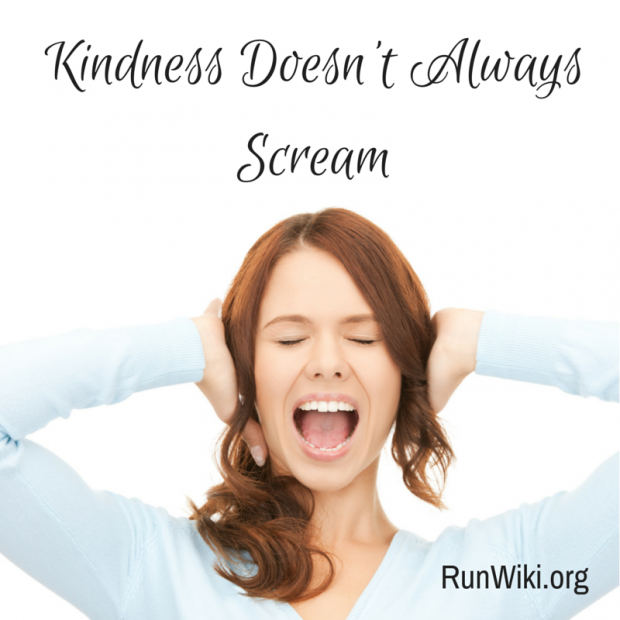 Kindness Doesn’t Always Scream (guest post). I have always been a very sensitive girl. I can remember being a small child and receiving a free lunches at school. My mother had recently divorced my father– she was then a 32 year old single mother of three girls with no college degree. She worked as a hostess at a fancy restaurant, and went to school at night, but we struggled– or I should say, she did. As a child, I was oblivious to our financial problems and had no idea we were receiving assistance due to our low income. I stood there, not sure what to do next, my little mind vaguely recognized that I was being made fun of. Since I didn’t know that I was getting free lunches, I wasn’t quite sure how to respond. I sat there slightly confused. This is when my teacher, Mrs. Jennings, promptly came to the rescue. Mrs. Jennings made the two hour drive every morning to my elementary school from inner city Los Angeles to the San Fernando Valley. In the wake of the civil rights movement in the early 1970’s, LA Unified was experimenting with busing. They would bus suburban kids and teachers to the inner city and inner city kids and teachers into suburbia. That year, Mrs. Jennings was the first from downtown to come to our school. She knew poverty. She grew up and lived in the midst of hardship, and the children that she was used to teaching were underprivileged to say the least. Stepping into the opportunistic bubble of our rural town must have been shocking to her. So when she saw that I was under fire from Adam Applebrook, she swooped in like a mother owl. She was not mean or unprofessional, she maintained a calm and powerful demeanor, and basically told Adam that I was the one who was special and kids that bought lunches were the creeps. Okay she didn’t say creeps, the truth is, I don’t remember her exact words, but I remember the way she made me FEEL. I felt exclusive, and in the midst of my tumultuous life, it felt wonderful. I share this story with you because it was my first strong memory of being shown true kindness. Of course, I had the undying affection and love of my parents, but an outsider, and teacher whom I adored and respected had singled me out and made me feel so good, that 40 something years later, I still remember the event. Mrs. Jennings may not know this, but her gesture that day shaped who I am today. Her sensitive and kind nature were the cornerstone for who I became as person, but particularly with regard to kindness. All too often we can go about our day and get so busy that we forget to extend a hand to others in need. Sometimes the ones who are the most empty handed are not who you might expect. A small child, the elderly, a neighbor, or someone having a rough day. Kindness doesn’t always scream, sometimes it’s a small gesture. Kindness can be an encouraging word, a hand written letter, paying attention, or standing up for someone in a kind and peaceful way. We frequently overlook the power of altruism. Kindness is about how we make someone feel. Although my mom wasn’t there that day, I have since told her of the story and she was equally grateful that the mother owl swooped in to protect her baby girl. My Mom, who went on to earn her PhD and make a wonderful life for herself, must have struggled so much in those days. So, Mrs. Jennings wasn’t just being kind to me, her act reached far beyond the classroom walls that day. I wish I could thank Mrs. Jennings in person. I don’t even know if she is still alive, but in all of my unsuccessful attempts to find her, I remind myself that I can thank her by paying it forward. You can pay it forward, too. Don’t underestimate the power of kindness and the effect it has on people. You never know, your small token of affection might change a little girl forever. Maybe forty years from now a grown women will be brought to tears as she writes about this simple gracious expression. Lisa McClellan blogs at Runwiki.org a place for a fitness enthusiasts to explore the spiritual heart of our sport. Runners come from all walks of life, some are slow, and some are fast, Runwiki touches the common thread that binds. Lisa is a 4 time Boston Marathon qualifier, 2013 Boston finisher, Ultra Marathoner, RRCA Certified Running Coach, Wife to retired US Navy Diver and Mom to three. Love Miss Jennings and love this post. Wow, the impact one person can have by showing kindness. Perfect reminder to take into my day, Lisa! TRUTH! I can think of so many examples of this in my own life. Thank you for the reminder. Thank you Allie– I’d love to hear your stories someday. That’s the thing about blogging, so many people you’d love to meet and talk to. Truly sad and kindness is the best think one person can show to others. Thank you for the post…. What a beautiful and heartwarming post! I think that’s a really great topic for blog posts and discussion in general, “what is the first act of true kindness you ever experienced/witnessed?” I think a lot of us would find it left a profound effect on us as well. I truly believe that kindness is the mark of our humanity. Philanthropy is one thing, but kindness is another! So True! Of course there is kindness in philanthropy, but the simple act of going into your day spreading the gift of a smile and kindness is different. We can’t always be in that place, but the more we do it the easier it becomes. All it takes is one special person in our world to change it. Thanks for sharing your story! Thank you for reading Pamela! 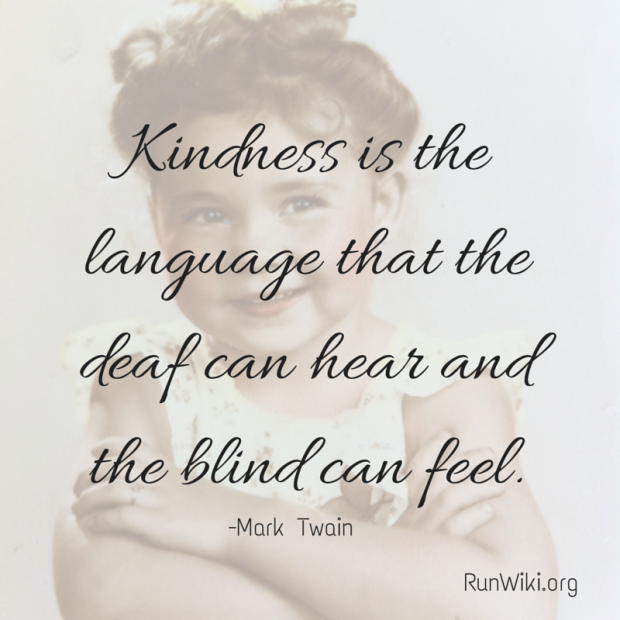 Yes, kindness! Always kindness. Love the teacher story, but then it reminds me of a vivid 1st grade memory I have of my teacher. I decided to go from “Jenny” to “Jennifer” and when I wrote my name out on my paper for the first time, I only used one “n” — Jenifer She held the paper up in front of the class and ridiculed me for not being able to spell my own name. Yup, and I remember that 40+ years later like it happened yesterday. That is awful, as you bring up in your story, the opposite is also true. I remember in fourth grade a teacher being unkind to a student in front of the class. It really effected me, I was so upset and have vivid details of the event, so much so I reached out the person on facebook 40 something years latter and of course he remembered and was traumatized as well. She didn’t just hurt you but probably the other kids in the class as well. I have so much empathy for your experience and I’m glad you brought it up, because I don’t think some people understand how powerful their words can be. So lovely. The words and the author. And Mrs. Jennings. Thank you Debbie. Can’t wait to see you at the end of May! So beautiful. I loved this post. i always love Lisa’s posts. I was just reading in my bible today about serving others and what a different worms it would be if we did live to serve and be kind!! I would agree even simple gestures can change a persons whole day and even life!! You live the word you read. You are an incredible Mother, a kind friend and a giving person. Can’t wait to see you in November. Thank you for sharing your experience with us, Lisa! We all need mother owls like that in our lives! I spent 2 1/2 years mentoring elementary school students in the worst school here in Spokane because I also grew up poor and was picked on for that (and because I was fat). So, I felt the need to be a mother owl (volunteer mentor) to little kids who struggled too. I hope that others find their own way to be the kind servant for others, too. Thank you for reading Naomi. What a gift and story about how you turned your own negative experience into a positive full circle moment. I can’t imagine how important you are to those kids. I don’t know a lot, but I do know that a thoughtful and kind teacher can effect a child’s future– you are doing that one broken child at a time. Thank you! I absolutely love seeing Lisa here – one of the kindest people I’ve met. Such a powerful story about kindness and the power of kindness. It does just take one person to make you feel special and really impact your whole life. We remember those teachers don’t we? I recently wrote a teacher friend of mine-he was instrumental in guiding me towards my career of working with special needs kiddos. He wouldn’t take the responsibility for it, but he definitely was. I hope the thousands of kids I have come into contact with over the last 39 years will write something as “kind” about me as you did. I grew up poor also…my dad used to bring home used clothing from the local school-and there were dresses I was not allowed to wear to school, because they had belonged to my classmates. We lived on the other side of the tracks-lterally and my first bike was from the local dump – remade. I loved that bike more than anything. Looking back is interesting isn’t it? Life wasn’t easier for some of us, but I wouldn’t change one thing. It shaped who I am today and it sounds like it did the same for you. I wouldn’t wish some of the things that happened to me on other people, but it did make me a very empathetic and strong person. Everyone has a story and I could sit and listen for hours to each and every one. I bet you have that bike etched into your mind, and perhaps still adore biking today. Thank you for reading and for your thoughtful comment. Extending a kindness blesses everyone involved. Mrs. Jennings must have been one of those amazing, only one or two in each lifetime teachers. Mrs. Jennings sounds like a great lady. I have a couple of teachers I’ll never forget too. How lucky to have had these people in our lives. Oh, I related to this in so many ways. In high school I didn’t eat lunch because my parents had just gotten divorced and my mom went back to college. I have 3 siblings and we qualified for free lunch. It was so different back then from now – everyone knew if you had free lunch. I opted not to go pick up my lunch ticket in the special line and just go hungry – crazy when I look back since I had cross country and/or track every day after school. I think that experience helped me years later when I worked in an elementary school and worked registration to make sure that no one ever felt singled out if they needed an app for free/reduced lunch. I can’t imagine what it must have been like. For me, I was small and unaware. For you it was a different story. It breaks my heart to think that you didn’t eat, but I can also see doing the exact same thing. Sadly, you survive through those days, and do what you have to do. Funny how there are these full circle moments, and now you work at a school where you help protect others from what you had experienced. Thank you for protecting your elementary students, it’s these small gestures that can greatly impact peoples lives. you know I never rely knew Lisa before but we pass on social media all the time. Now, though, I feel a real kinship with her. Beautiful post, thank you. I am fortunate to work in the kitchen of my local school district and over 80% of the kids in my school receive free or reduced lunch. Every one of my employees is kind and loving to all of the kids, regardless of their lunch status and luckily, nobody knows if a child is free or paid. Everyone needs kindness in their life and paying it forward is such a wonderful way to remember and respect the teacher who made you feel so warm and cared for that day! We like to tell our kids in school that they are so lucky to have a mom and/or dad who takes such great care of them. Thank You for this post today, it touched my heart!